The Beckmen family established their Vineyard in the Santa Ynez Valley in 1994. After years as leaders and pioneers in the electronic music business, Tom and Judy Beckmen, joined by their youngest son Steve, set out to make wines as well-crafted and distinctive as the keyboards and synthesizers that built their successful careers as founders of Roland Corp, US. Their search for a promising vineyard ended in 1994 when they discovered a 40 acre winery near the picturesque town of Los Olivos, CA. It was here, in the heart of the blossoming Santa Ynez Valley wine region, that the family laid down their roots and established Beckmen Vineyards. The Beckmens' commitment to building a world class estate vineyard led them to purchase an unplanted 365 acre ranch in nearby Ballard Canyon. Named after the ranch to which it once belonged, Purisima Mountain Vineyard was established in 1996. 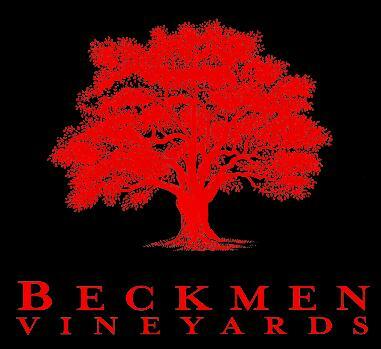 Beckmen Vineyards' wines are composed exclusively from the 150 acres of grapevine grown on these two vineyards, crafted with care in the original Los Olivos winery. “A red Rhone style blend of Grenache, Syrah, Mourvedre and Counoise, the core of the CLB is balance. Harvested from vineyards on both their Winery Estate and Purisima Mountain Vineyard, the wine is predominately Grenache and Syrah in most vintages with lesser portions of Mourvedre and Counoise. Cellartracker 92"Classic rhone-clone from California...Beckmen is notorious for creating structured, fruit-driven, lengthy wines with this blend. TOP blended wine in my opinion coming out of the new world!" ~F.P. Wine Spectator 91"Charming, with melon, peach and apricot notes that are ripe and fleshy, with spicy tobacco, lentil and mineral accents. There's great focus and intensity. Drink now. 1,200 cases made." Wine Spectator 90"A real mouthful that packs in ripe, potent, powerful dark berry, spice, loamy earth and black licorice notes. Firm, chunky and rustic, yet charming, with a long, chewy finish. Grenache, Syrah, Mourvedre and Counoise." ~J.L. Robert Parker 91"The complex 2006 Syrah Clone #1's dense purple color is followed by a sweet perfume of black fruits, acacia flowers, licorice, and forest floor, supple tannin, admirable concentration, and a long, textured mouthfeel. Enjoy this velvety Syrah over the next decade." Robert Parker 89"The 2006 Syrah Estate reveals a deep ruby/purple hue, loads of blackberry fruit intermixed with notions of licorice and tar, a supple texture, and a savory, fleshy personality. Drink this mouthfilling Syrah over the next 4-5 years."